Over the past four years, it has been my privilege to lead the Development Campaign for Trinity’s new Business School. With the assistance of our Advisory Board, chaired by Sean Melly, Trinity’s Business School is on a clear track to becoming one of Europe’s most innovative business schools. Trinity Business School is ranked 1st in Ireland and 37th in the world by Eduniversal rankings. Our undergraduate and graduate programmes attract creative thinkers, innovators, and current and future leaders, drawn from a huge diversity of backgrounds and locations. 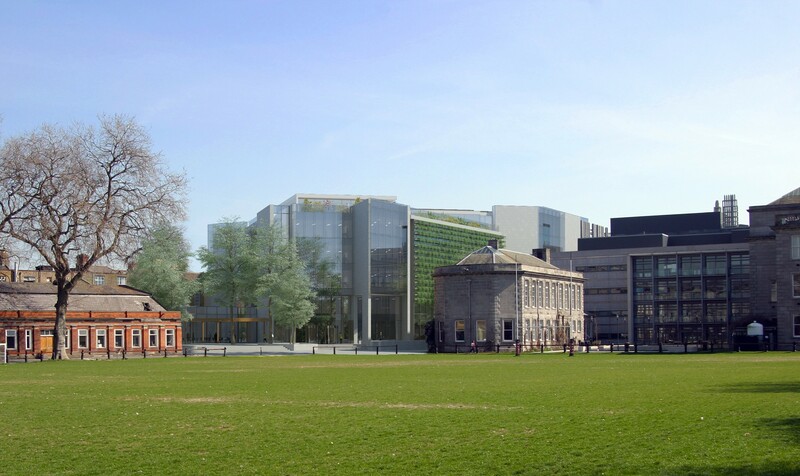 The new Business School Campaign will allow us to take a very high performing institution, double its scale and deliver one of Europe’s top Business Schools in the heart of Dublin, surrounded by one of the most successful innovation clusters in Europe. 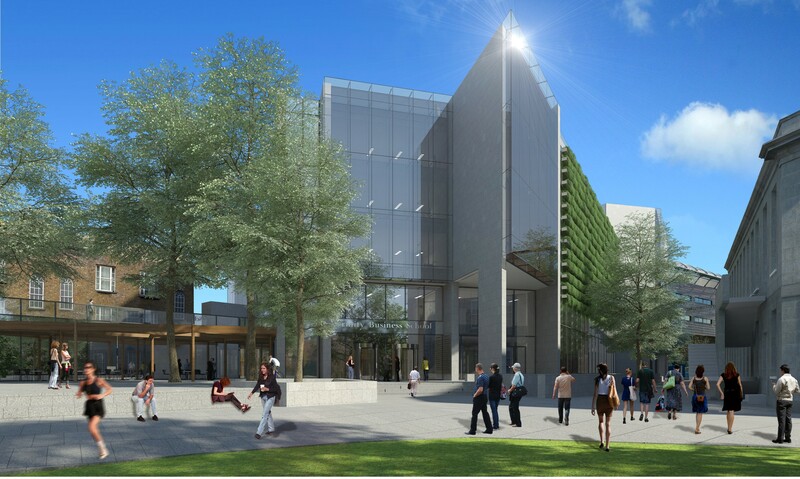 In a prime position on the Trinity campus overlooking the rugby pitch, the iconic new Business School building is scheduled for completion in early 2019. 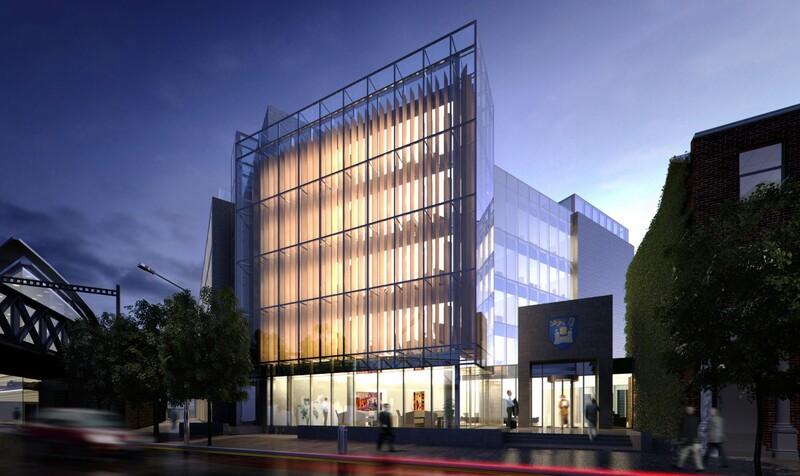 Finance for the new development is being made available from university resources, and a philanthropic contribution – as of June 2016, the School has raised over €11.5m in philanthropy – with over 30 senior international business people having very generously agreed to become Founding Patrons and Patrons of the new School. We are delighted to be associated with these individuals whose own careers will serve as inspirations to future generations of students of the School and the University. As the campaign has progressed, I have had the pleasure of meeting Business School alumni and friends from all over the world and the goodwill, enthusiasm and generosity being shown towards the School and the University has been extraordinary. What has struck me most forcibly is the depth of appreciation that our alumni have for Trinity, their wonderful memories of their student days, and the life-long College friendships that they have maintained since graduating. Many of you reading this are helping us with the Campaign and contributing very generously. On behalf of the School and Trinity College, I would like to thank you all most sincerely and I look forward to keeping you updated on our plans. For further information, please contact Prof. Gerard McHugh.